If you were to tell me that Burger King were launching a vegan whopper I’d probably laugh at you. Especially if you told me on April Fools Day! This is not fake news or a well executed April Fools day prank, it is actually true! But this vegan Whopper is not just any vegan Whopper. It’s a collaboration with vegan scaleup Impossible Foods, makers of the Impossible Burger. Burger King have approached this venture into the vegan market in an undeniably smart and strategic way. A way that demonstrates to corporate giants if you can’t beat them, then the next best way to do things is to join them. Impossible Foods are a Californian based cool and punchy contender in the fast paced fast food startup world, having raised over $385m over the last few years. They develop plant-based substitutes for meat and dairy products that give people the taste and nutritional benefits of meat without the negative health and environmental impacts associated with livestock products. Served in their own restaurants or via foodservice, their business model is about bringing vegan to the masses, demonstrating that plant based can taste as good as meat, and doing it in a sustainable and totally millennial way. Save the earth as you eat a burger, why not! Burger King on the other hand, know their limits. 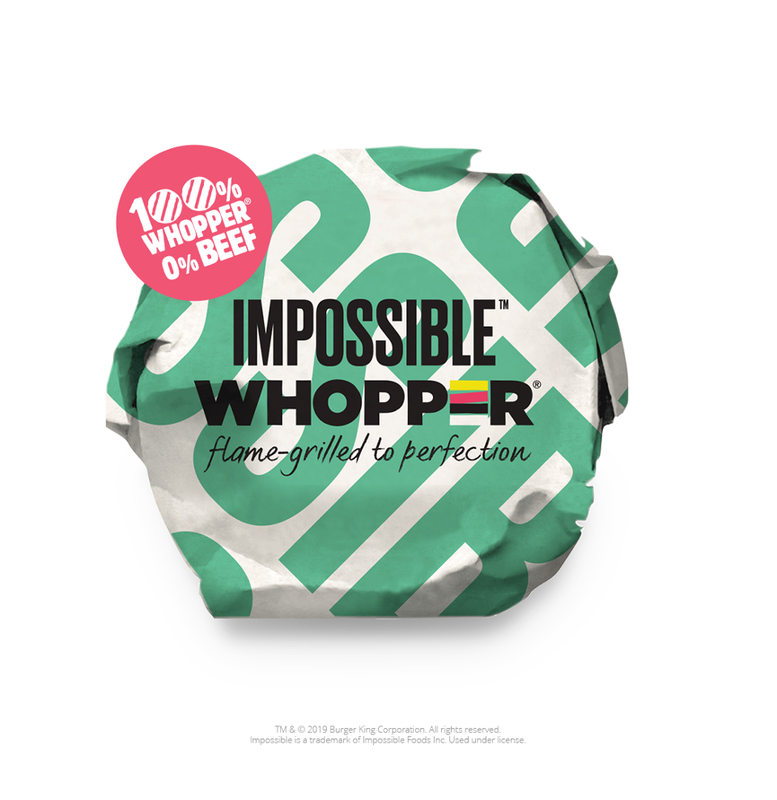 Having seen that they don’t have the brand equity to bring their own vegan version of the Whopper to market, having been focused on meat products since their conception, it hasn’t stopped them capitalising on the growing vegan trend. Through this collaboration between corporate giant and scaleup, Burger King gain credibility in “Vegan”, having partnered with the current market experts in plant-based proteins and also bring a new type of Millennial audience to Burger King, the likes of who probably wouldn’t have ever considered stepping through their door otherwise. Burger King gain a new revenue stream from a new audience, nice one Burger King. Especially whilst McDonalds are still playing Monopoly. But the benefits of this collaboration are mutual. Impossible Foods gain distribution, brand awareness, trial and gain credibility through the partnership. This truly win-win partnership is the perfect example of why corporate startup collaboration works so well to create innovation in food and foodtech. The opportunities and benefits for those brave enough to pioneer change allow you to create true innovation, leverage your brand equity and borrow credibility, whilst ultimately providing consumers with more options that meet their growing array of needs. In this case, a collaboration between a corporate and a startup has literally made the impossible possible and we can’t wait to try it!